Don't send them. Lead them! There are a lot of leadership topics that we have discussed in the 4 years since the start of Leadership Voices. But today, I am focused on leading your family to the manger. Everyone sings about the manger. We may even have a little manger scene on the platform at our church. Something glorious is about to happen. Just like more than 2,000 years ago, while the world slept, Jesus was born! Ok, maybe not exactly on December 25th. But He was born on a night like that night. It was a night with lots of activity. For Joseph and Mary, it was the busyness of the census and traveling with the throngs of people as they all journeyed to their ancestral homes. For many of us, it is the busyness of wrapping, cooking, cleaning and the mad rush to the 24-hour drug store as we realized that batteries really weren’t included. 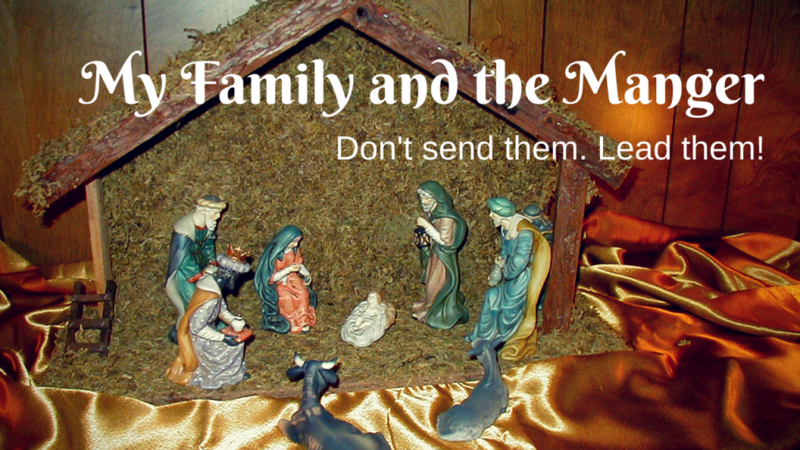 Let’s lead our families and loved ones to the manger on Christmas morning. And I am speaking literally here. I don’t see this as just a figurative suggestion. Let’s actually lead our families to the manger in some form or fashion on Christmas day to worship Jesus Christ the newborn king. It would be easy to stay home and remind them that they need to go to church and just send them on their way. But don’t.